You'll want to enjoy every meal outside gathered with friends and family around this all-weather dining set with modern farmhouse flair. 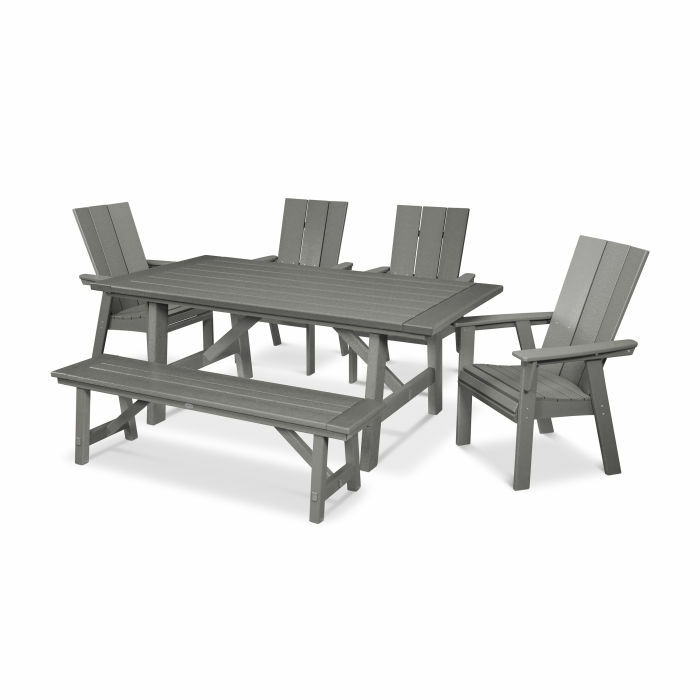 With room for six, the Modern Adirondack 6-Piece Rustic Farmhouse Dining Set with Bench provides comfortably contoured seats with a contemporary aesthetic. The Modern Adirondack Dining Chairs also feature a waterfall front detail while the Rustic Farmhouse 39" x 75" Dining Table provides sleek leg details and a spacious tabletop.